Found this pair of Camponotus Subbarbatus under a rock in their chamber 6/4/2016. I will be updating how it goes! Please feel free to post, comment, ask questions, and give advise. Woah! Those are some crazy looking carpenter ants! You just found the two of them? No brood? I'll be following along! Good luck! WillWithAnts wrote: Woah! 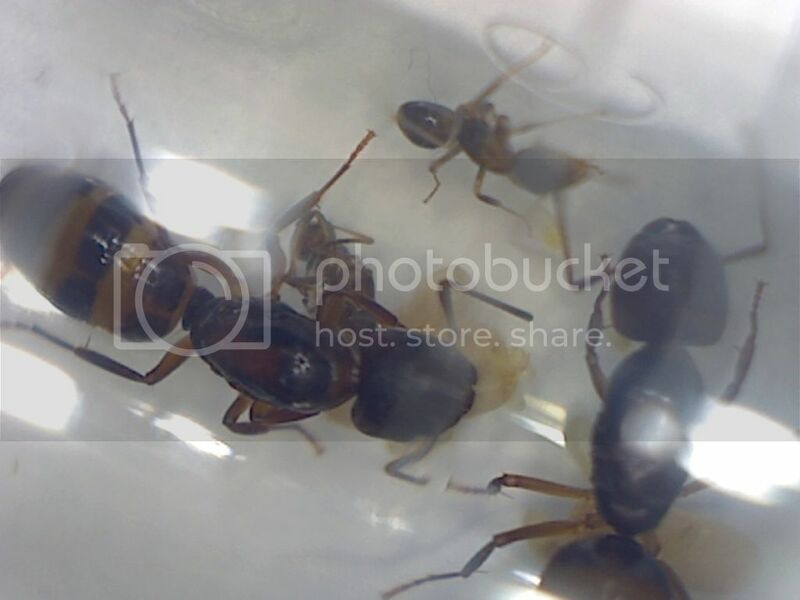 Those are some crazy looking carpenter ants! You just found the two of them? No brood? I'll be following along! Good luck! I think they had a small amount of brood. It was just in the scrambling to catch them as they scurried out of their chamber that I was not able to collect the brood. 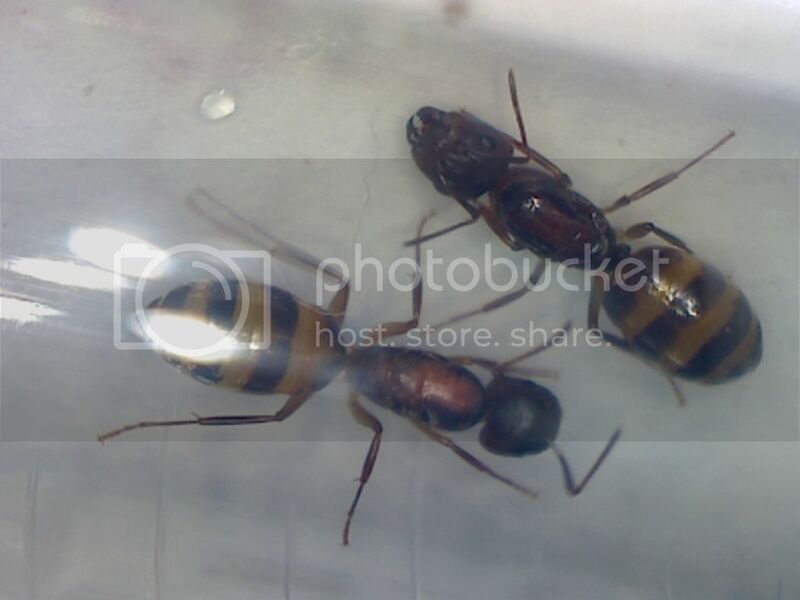 I am very excited, I did not think PA had a species of Camponotus that was this ornate! Thanks! You may want to feed them some sugar-water or something. If they already lost some brood, they are going to need a bit more nourishment! WillWithAnts wrote: You may want to feed them some sugar-water or something. If they already lost some brood, they are going to need a bit more nourishment! OK thanks! I would not of thought of that! Would some honey on a bit of foil be enough? Would a cricket leg work too? How often will I have to provide that? Awesome! After that little boost, they should be good for a while. Good luck! Just checked and they have a worker!!!! There is also another on the way! I will be giving them some food in a few days.